Simply good food in a scrumptious bar. 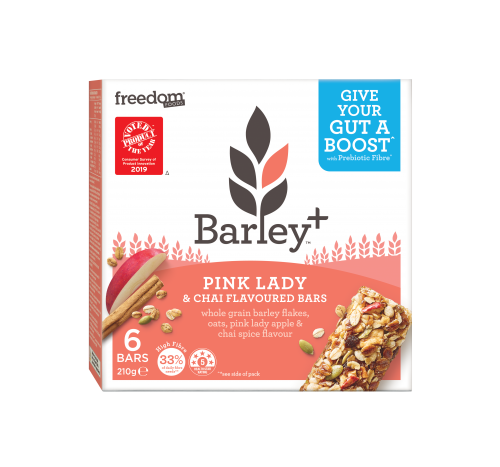 Full of whole grain goodness, our Apple Cinnamon, Cocoa Cranberry, Fruit Free and Very Berry Bars are sure to be family favourites. Whole Grain Rolled Oats (43%), Glucose, Seeds (14%) (Sunflower Seeds, Buckwheat, Pepitas, Sesame Seeds), Canola Oil, Nuts (6%) (Almonds, Cashews), Golden Syrup, Oat Flour, Cinnamon, Natural Flavour, Antioxidant (Vitamin E). 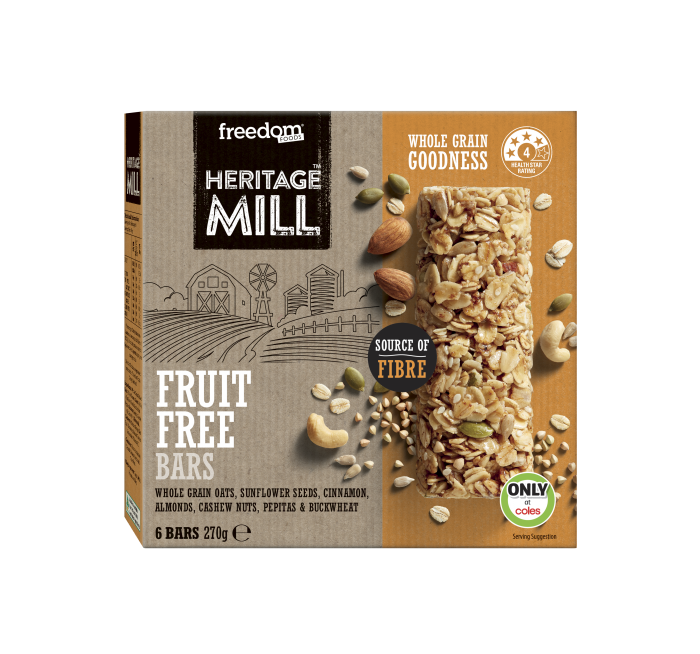 Contains: Gluten-containing Cereals, Sesame Seeds and Tree Nuts. May be present: Lupin, Milk, Peanuts and Soy. Simply good food in a scrumptious bar. 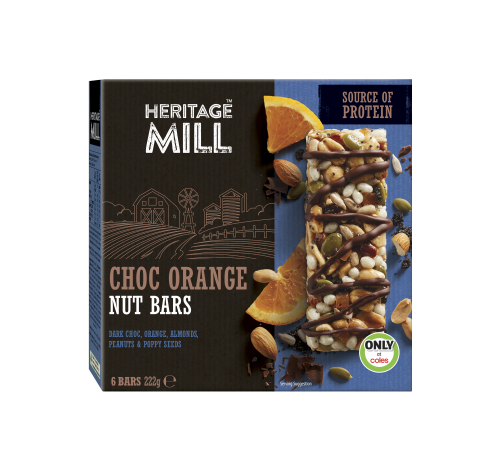 Full of nuts and seeds with a drizzle of chocolate, our nut bars will be sure to satisfy. Simply good food in a scrumptious bar. 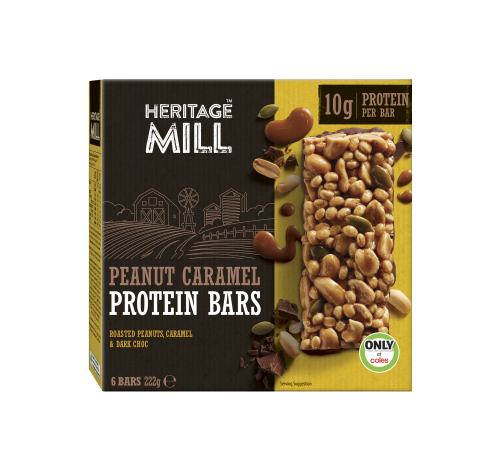 Our Peanut Caramel Protein Bars are as delicious as they sound – and have 10g protein per bar.